April, 1981: three years after the death of my mother, I got a chance to re-do the whole process with the other materfamilias in my life (in the same month of March, in fact). As I covered here, I’d lived in my grandmother’s house since age four due to mom’s health problems, and eventual hospitalization. The same person who reared my mum got to pretty much raise me, too. Both my younger brother and I were placed with our abuelas for safekeeping while the parent with sole custody convalesced (our father just wasn’t around, or any good at the guardian-thing). He went with dad’s madre, and me with mom’s. The key difference between us siblings was the fact he returned to her side. My father’s mother only too happy to hand back her grandchild. I was not, and fought to stay put. To my chagrin. About a month after her funeral, the malaise that had crept in with it began to dissipate. By now, I was living with she-whose-name-must-not-be-spoken (let’s just say neither head females would have approved). So, it was she who I took to the Mann Westwood 4. in Westwood Village. 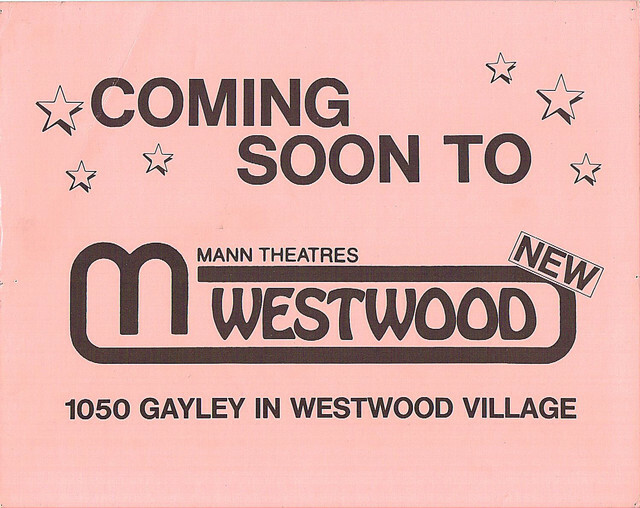 This relatively small cineplex (three auditoriums which eventually split into four) drew the smaller films released back then. The big headline movies customarily went to the nearby Village, Bruin, or National theaters in this famed entertainment district by UCLA’s campus. It’s why Joe Dante’s clever little horror movie, The Howling, landed here. Like all great werewolf tales, the film shares a bit of Greek tragedy. It fit and somehow lifted my mood. 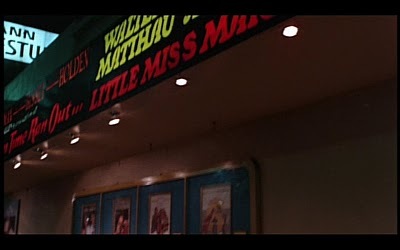 While the theater is no longer there, the movie and the memory still are. I was just talking to some people about “The Howling” the other day. Great movie unfortunately marred by a slew of terrible sequels (or at least other werewolf movies connected in name only). Yep, Joe Dante’s film is a marvelous one of the genre. Thanks, Jamie. Great post, as always, Michael. Love how the movie is secondary to the context. Thank you very kindly, Fernando :-). Thank you for this and sharing this personal story. Thank you very much, mummbles.